How Do I See a Will in Probate in Pennsylvania? 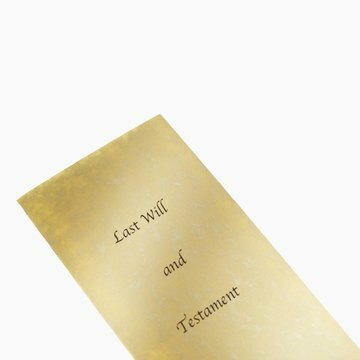 A will is a legal document that sets forth a person’s wishes for the disposition of his property after his death. For a will written by a Pennsylvania resident to have legal effect, it must be submitted to the Register of Wills in a Pennsylvania county. After a will has been submitted to the Register of Wills, any member of the public may obtain a copy. Obtaining a copy of a Pennsylvania will requires filing a document request with the Register of Wills. Determine the Pennsylvania county where the will was filed. Under Pennsylvania probate law, the proper venue for submitting a will to the Register of Wills is any Pennsylvania county were the person owned property. If the person whose will for you are searching owned property in multiple counties in Pennsylvania, you may need to check with the Register of Wills in each county. Contact the Register of Wills. A list of Register of Wills throughout Pennsylvania is available online (see Resources). Submit a document request. Some Pennsylvania Registers of Wills, such as the Berks County Register of Wills, maintain an online database of probated estates. The procedure for submitting a document request to a Register of Wills varies by county, but most Register of Wills will provide online forms for submitting a document request. The cost of obtaining a copy of a will varies by county, but may cost up to $1 per page. A birth certificate is a fundamental identification document, and the name on a birth certificate normally reflects the baby's original legal name. If you wish to change the middle name on the birth certificate of a registrant born in Alabama, you must have the original birth certificate amended. You may need a court order. Can a Person Ask for a Continuance Without a Lawyer During a Divorce Hearing in Virginia Law? Rescheduling a divorce hearing can provide you with more time to prepare your case. In Virginia, a request to reschedule is referred to as a motion for continuance, which may be done in person at the scheduled hearing, regardless of whether or not you are represented by an attorney. State laws vary with regard to probate. Probate is a judicial process where a special court oversees the administration of a decedent’s estate. Typically, when a person, or testator, creates a will, the testator appoints a personal representative, or executor, in the will to administer the testator’s estate upon death. Once the testator dies, the executor must file the will for probate. In Pennsylvania, the executor may probate the will at any time after the testator’s death.